Chuck Liddel’s first fight in eight years ended the same as his last in 2010, with Liddel knocked out by his opponent. 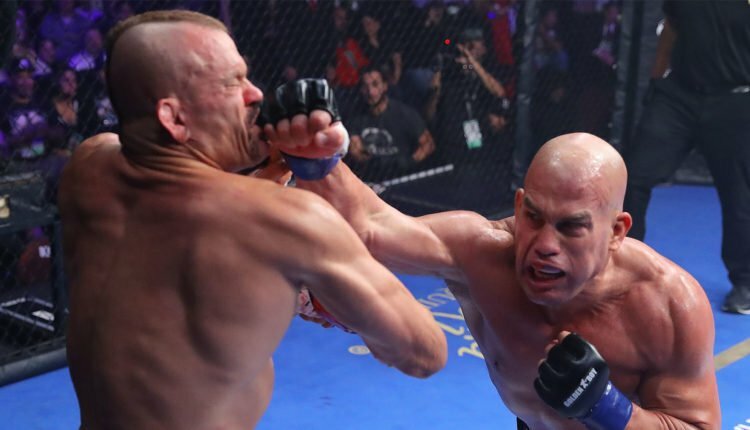 On Saturday night, Liddell looked to bounce back by defeating Tito Ortiz for the third time in as many fights, but the 48-year old would not last long as Ortiz would land a solid shot to bring down the UFC Hall of Famer. “I loved being in there,” Liddell said of his first fight since a 2010 knockout loss to Rich Franklin. “You’ve got to understand, I love fighting. I don’t do this for money. I never did this for money or fame. That’s not why I started. I did this because I love being out there, I love fighting, so I was at home in there. I was ready to go. I wish I’d done a few things different, obviously, but it happens. Ortiz would set up for victory with a shot that sent Liddell into the cage, then would drop the “Iceman” with a right hand and finish with a few shots on the ground with less than a minute remaining in the first round. While the knockout looked nasty, Liddell would downplay it and claim he was fine. “The one takeaway I have from this is that I will definitely be in a training camp again,” Liddell said.